Don't go on your next off road adventure without a reliable winch. Having a winch is the ultimate recovery tool, it will get you out of any mess you may come across. The Smittybilt XRC 8 Winch encompasses all the best features you would want in a winch. Every XRC 8 (8,000 LB.) 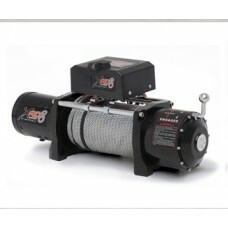 winch features a 5.5HP Series Wound Motor and a Planetary Gear System with 172.8:1 gear ..